Experience His presence with Free instrumental worship! As many years ago David played his harp, today I imagine that my guitar is a 6-string harp. I express my love to the Father, to Jesus with my heart, playing guitar, making music through the Holy Spirit. It's a honor for me to share freely with you my heart, my personal times of instrumental worship, prophetic music and anointed soaking prayer. The Lord bless you and keep you! Free Istrumental worship for you! "be filled with the Spirit, speaking to one another with psalms, hymns, and songs from the Spirit. Sing and make music from your heart to the Lord"
Psalm 108:2 "Awake, harp and lyre!I will awaken the dawn." 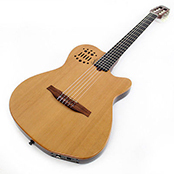 The ACS blends classical guitar concepts with elements of solid body design. 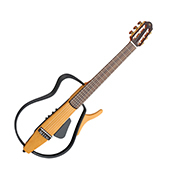 Feed back free nylon string with 13 pin output. 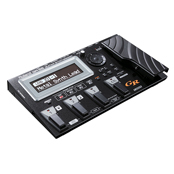 It’s the mother of all guitar synths, with a newly developed pitch-detection engine that’s faster than anything you’ve ever heard before. The Yamaha SLG110N gives you the playing feel of a high-quality nylon-string guitar with a feedback-free design. 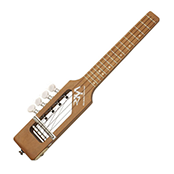 The Uke-Solid-Concert has 15 frets and a scale of 15.2” (385mm). Made of stained maple with perloid dot inlays. I wanted to say THANK YOU for sharing this wonderful music. Sharing it for free as you freely received it, is one of the greatest testimonies I’ve seen. God bless you and thanks again from Guatemala, Central America. Subscribe to my YOUTUBE Channel! Every month a new video!